The London chapter of the Gentlewomen’s club (GWC) is officially open! Since the beginning of the year, while most of the city was reminiscing over the festive fun and figuring out frugalities associated with January, four Gentlewomen were busy plotting the launch of The Gentlewomen’s Club in London. 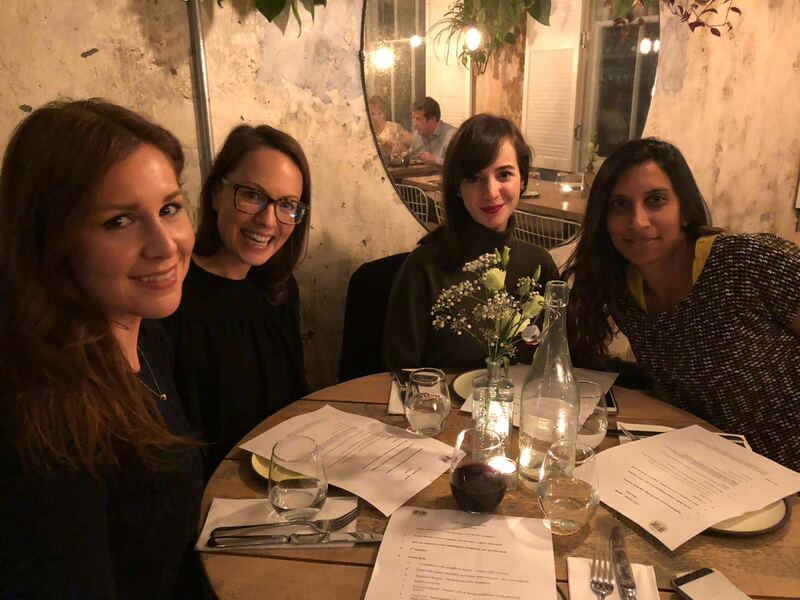 Feminism, friendship and a fondness for good food connected Alina, Özlem, Saj and Marianna together with a vision for taking The Gentlewomen’s Club to the next level. Harnessing the recent spotlight on issues affecting women such as #MeToo, #TimesUp, the gender pay gap and gender quotas, GWC has added to the debate and quickly grown its follower base and membership, with chapters opening in Brussels, Bucharest and London and many more to come! GWC is not just about the connections, it’s about having a sounding board to level with you and say you might not get it right now but we are in it together. It is a circle of growth -personal and professional, with each of us at its core. Established in 2017 in Brussels, GWC was set up to inspire change and create a supportive network to help women succeed in their chosen paths in life. Through our events and the discussions we provoke through social media, we provide a framework for women to respect each other, to root for one another, to be kind to each other. We are all on a journey, but by virtue of our gender we all seem to be experiencing similar problems and issues in our personal and professional lives. To us, it makes sense to join forces, share stories and ultimately provide a forum to “reach back” and support a woman who needs that extra leg-up to get back on track.